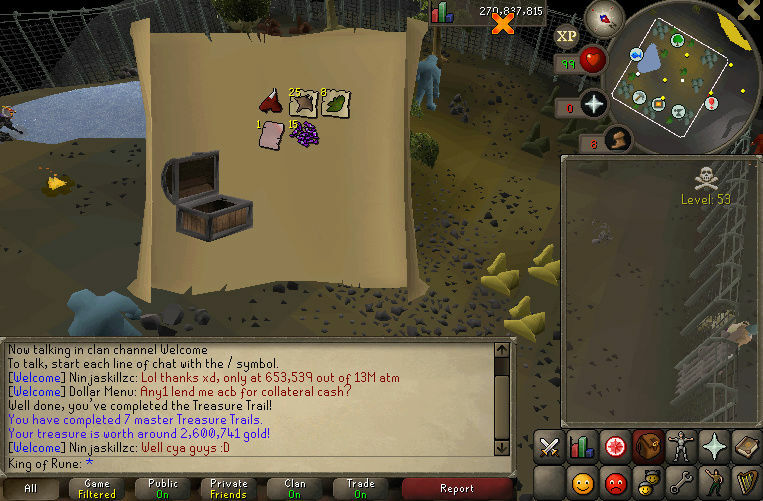 My name is King of Rune/Iron Kingo. 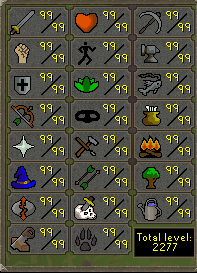 Last year (2017) I maxed my main account and realized being maxed is boring. 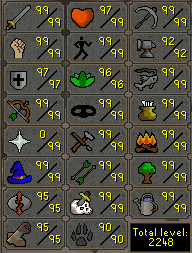 Now i'm an ironmemer, and you all get to see my ironmeme progress. 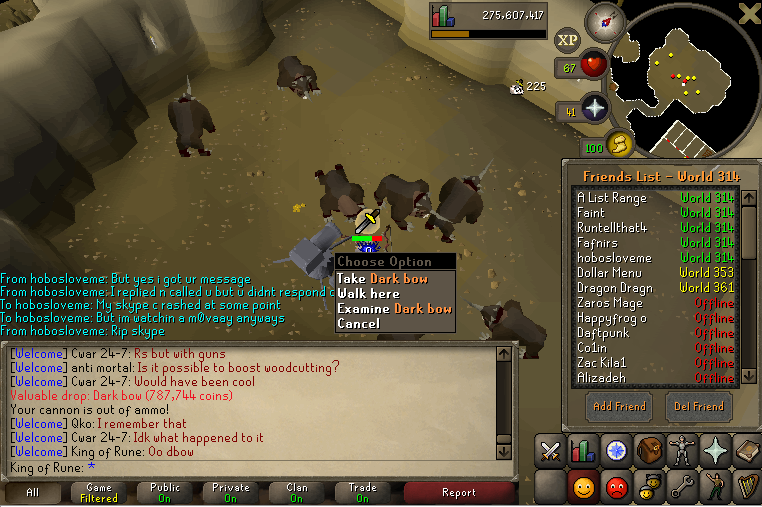 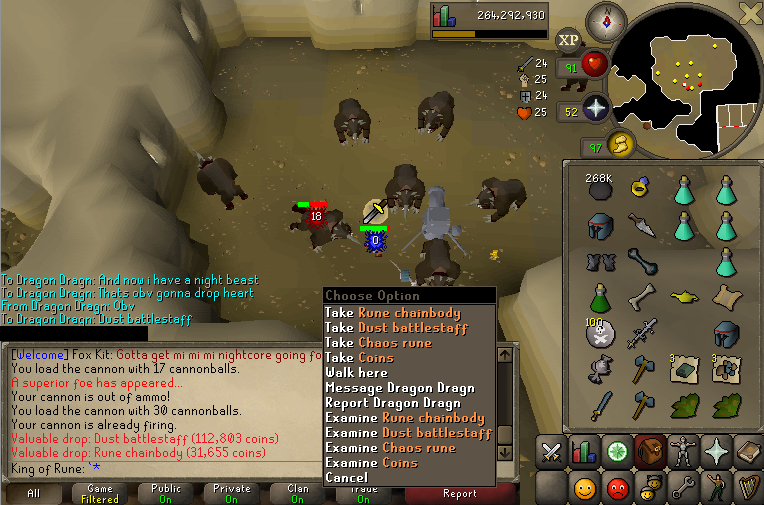 Good luck on getting max! 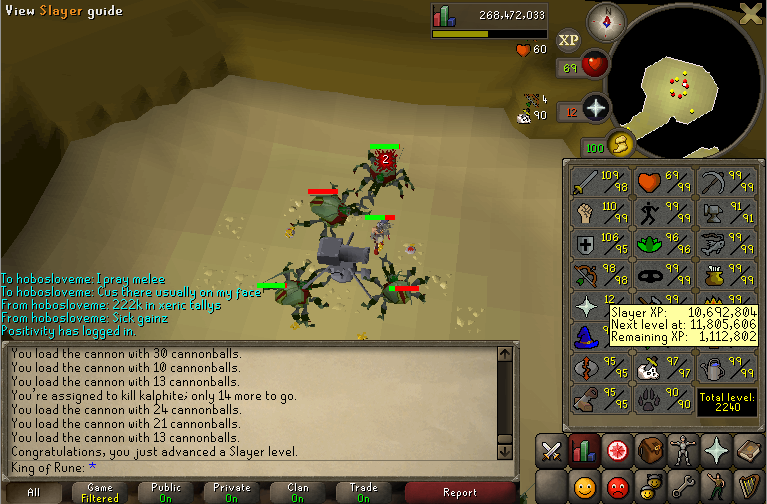 Some long lvls to go (rc and slay) I'll be there for you to support you man! 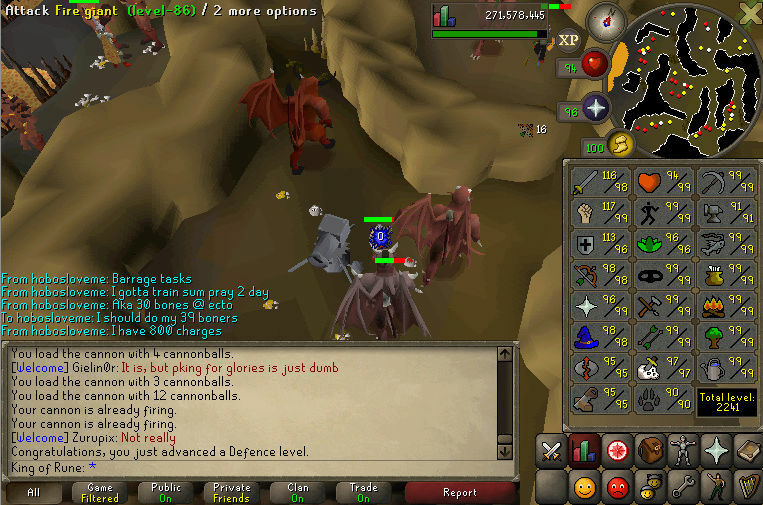 Really nice account man, looking forward to seeing the progress. 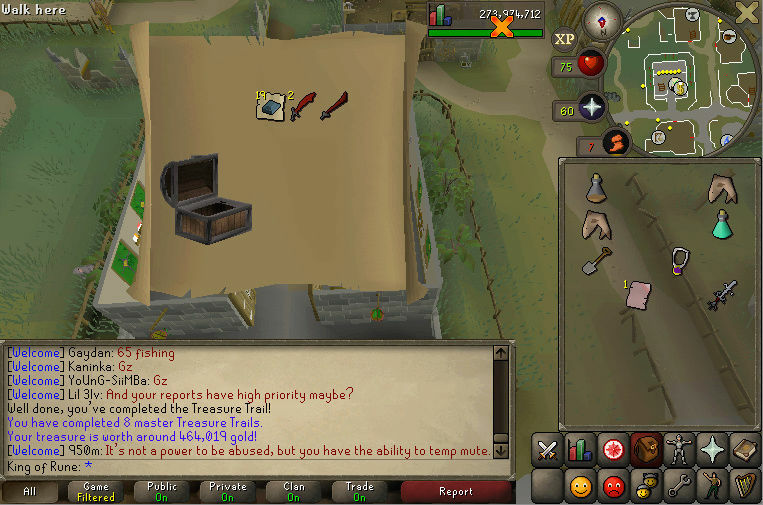 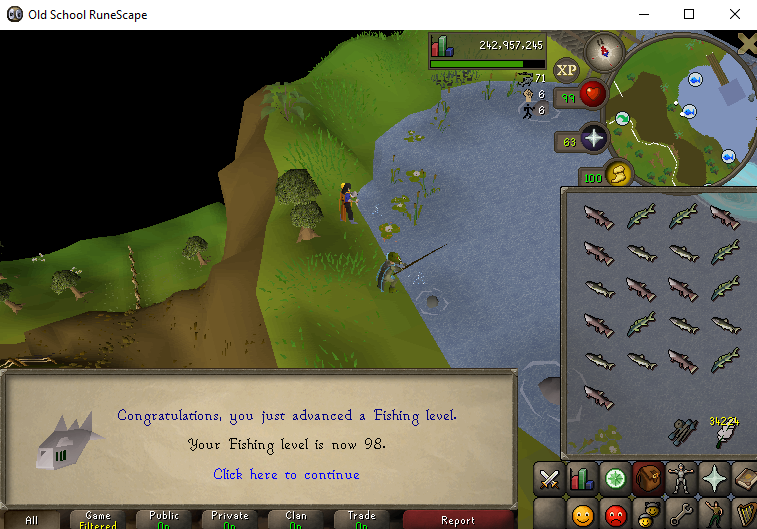 after an eternity (21 days) of nonstop fishing, i have finally finished this terrible terrible skill. 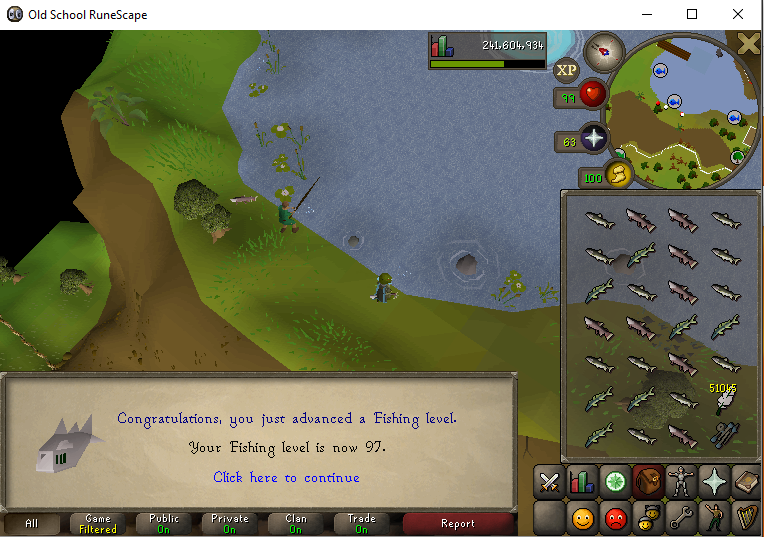 I'm having sushi tonight to truly express my dominance over fish. 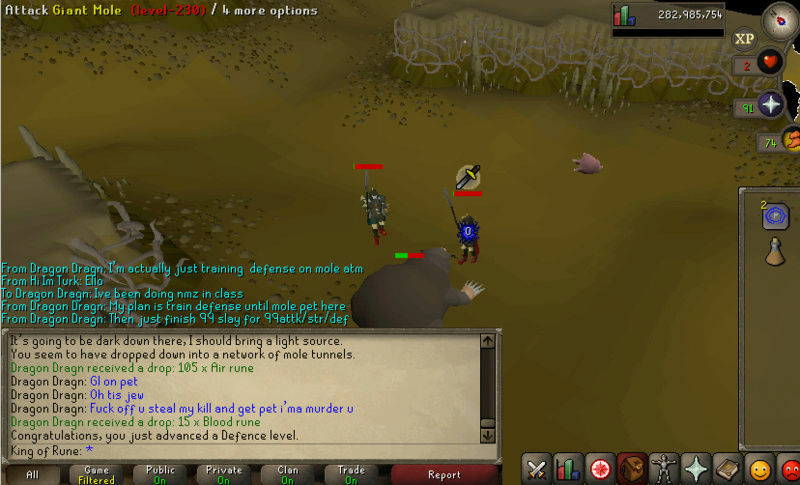 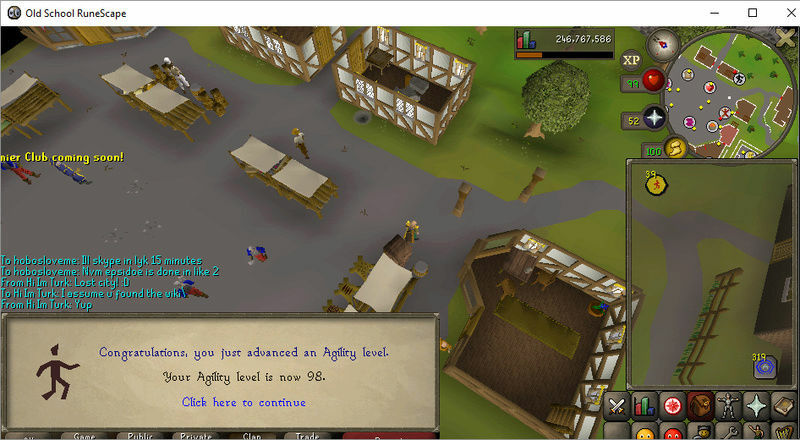 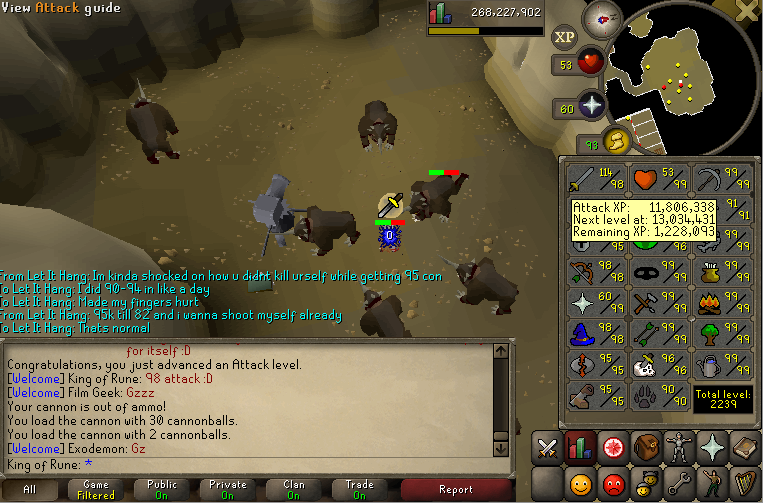 I'm actually sad that agility is over, was one of my favourite skills to train. 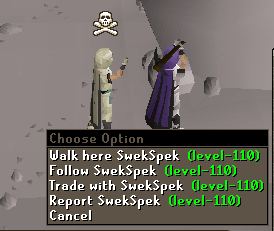 Managed to grab a wild Giel on my way to brimhaven. 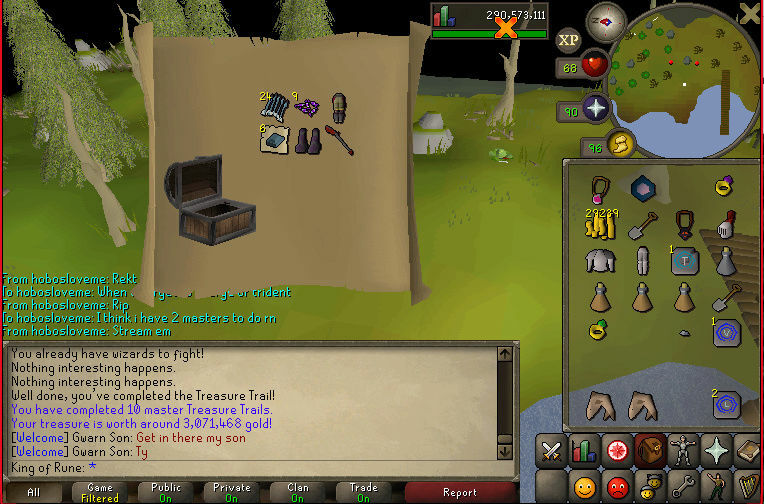 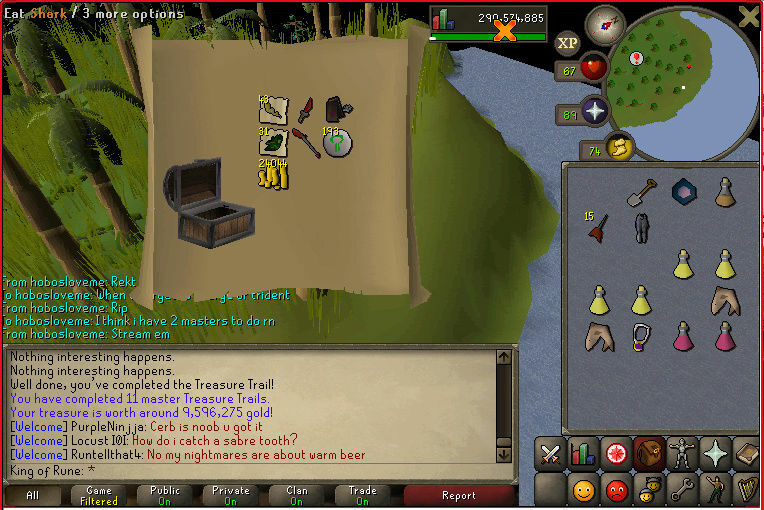 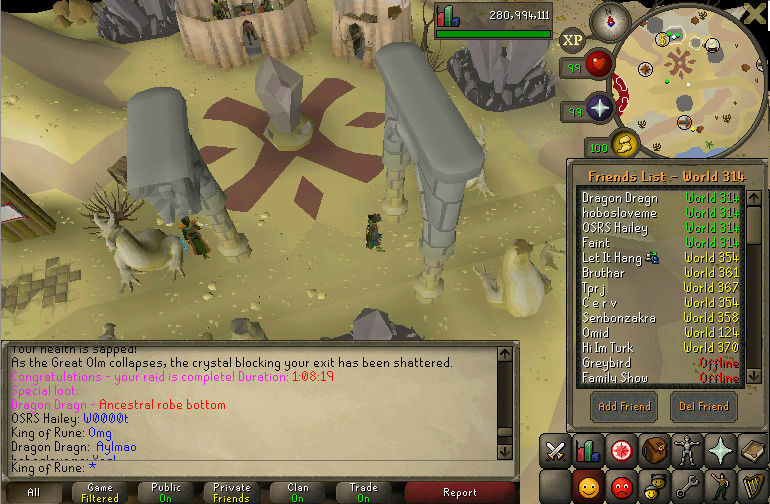 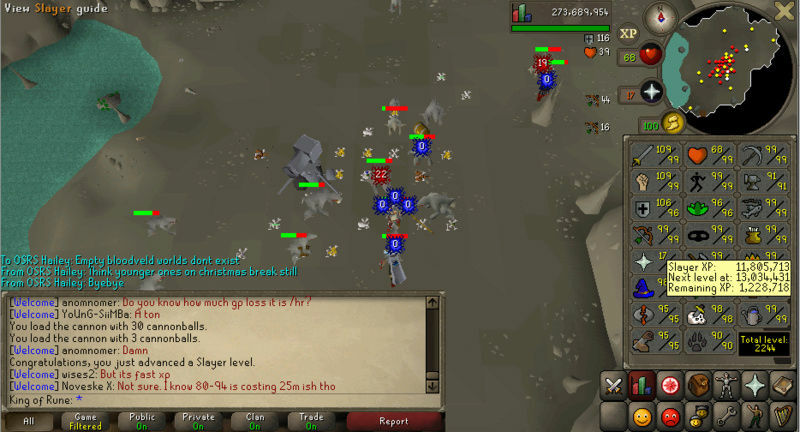 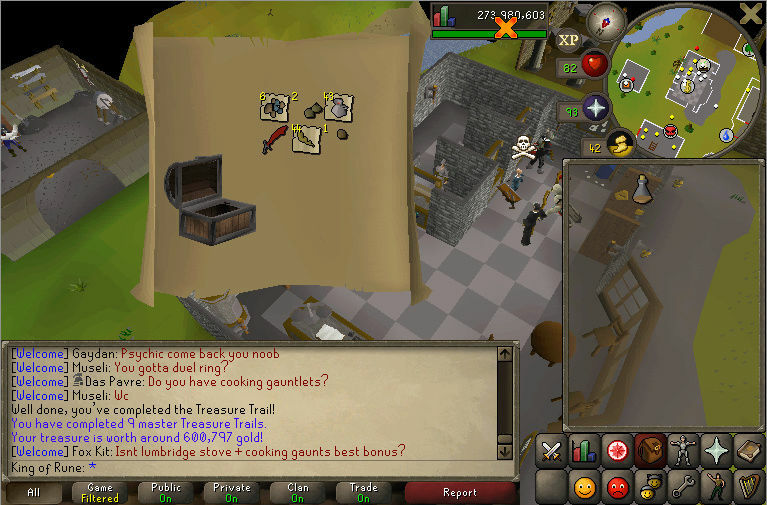 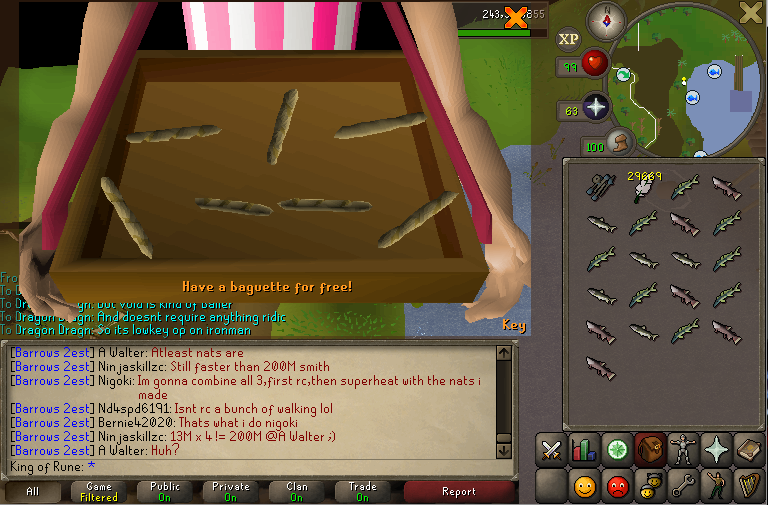 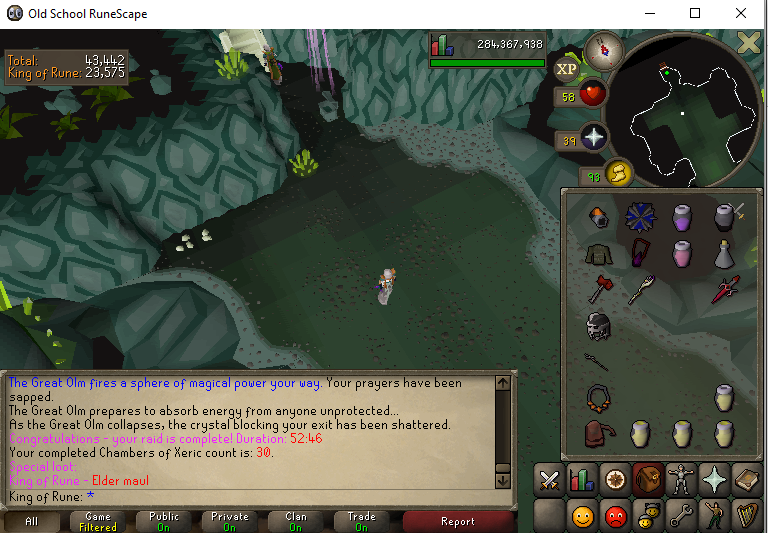 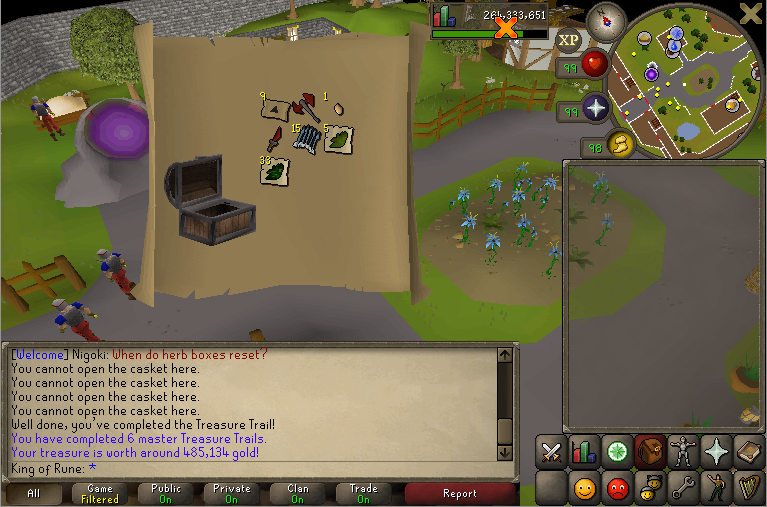 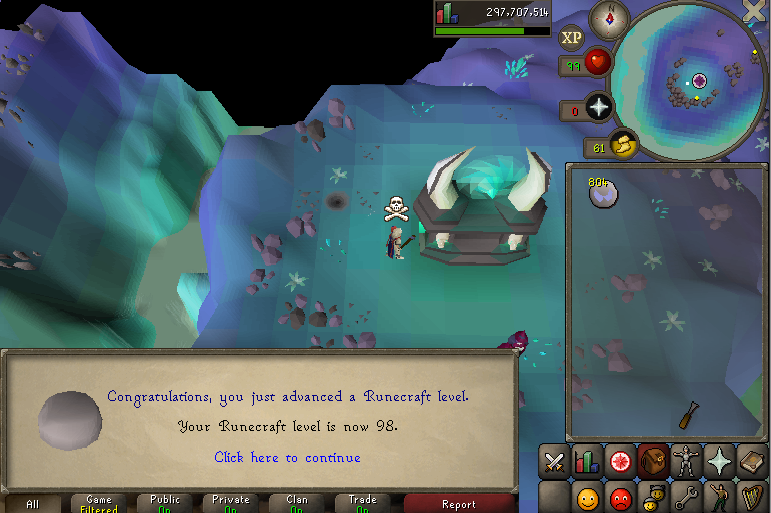 Swek got 95 runecraft so i decided to also get 95 runecraft. Im terrible at taking pictures so theres is some stuff missing, nothing exciting though. 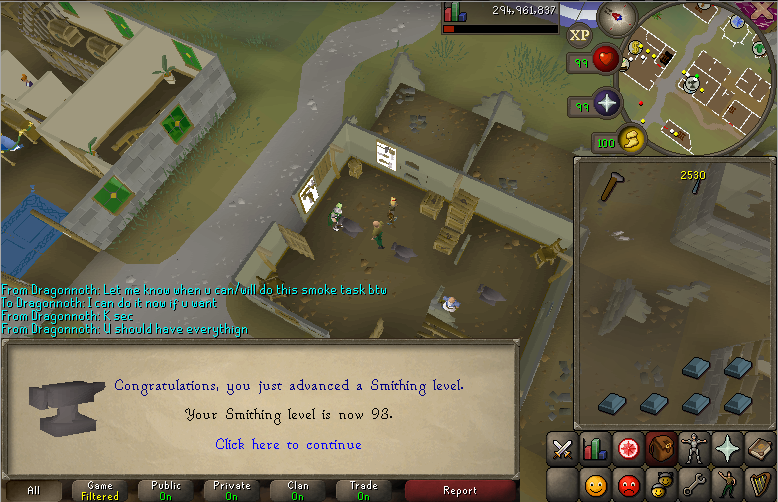 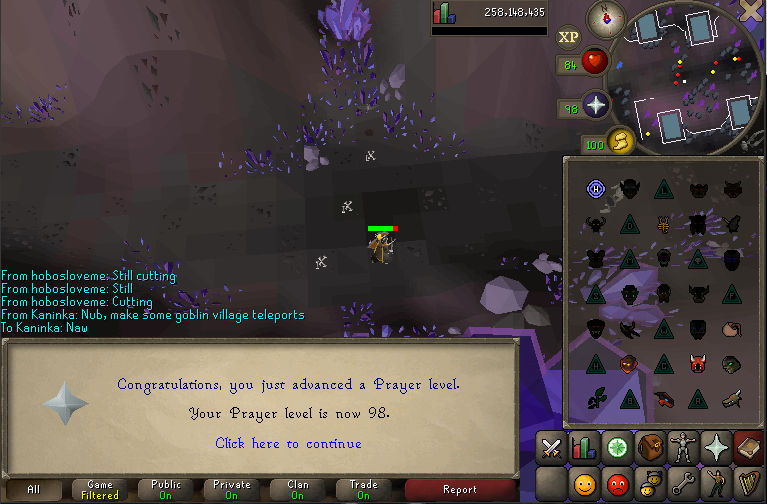 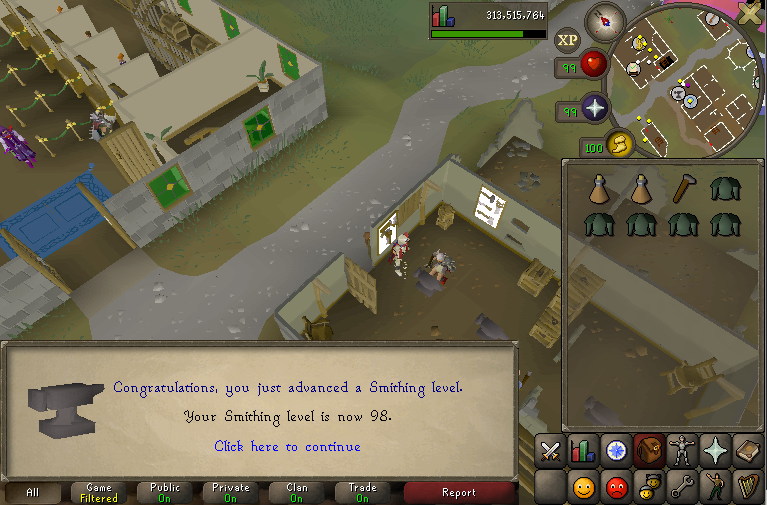 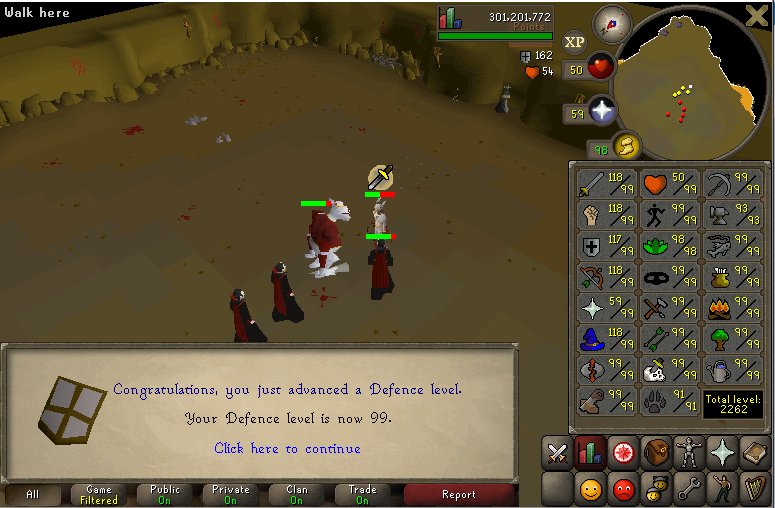 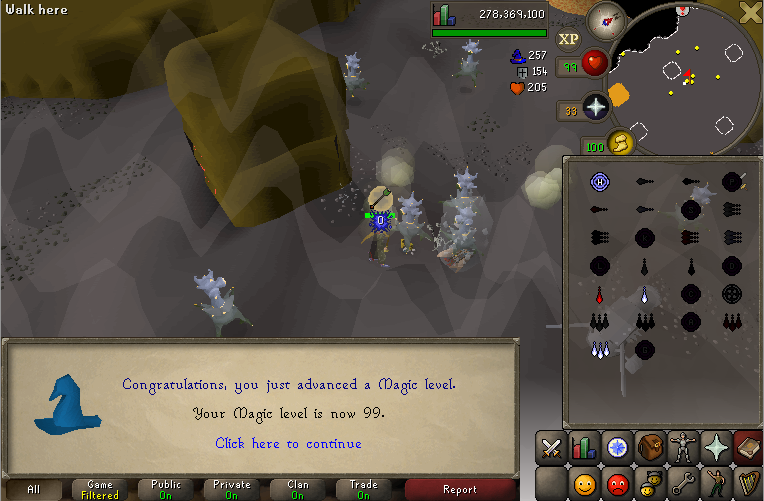 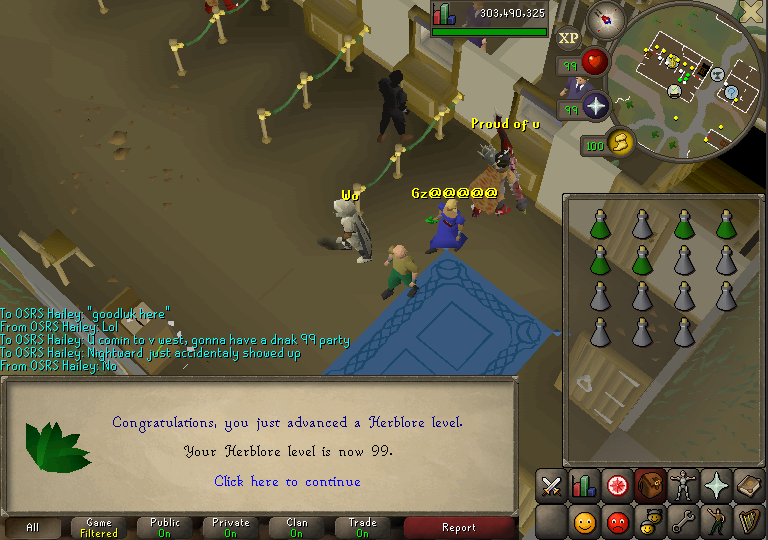 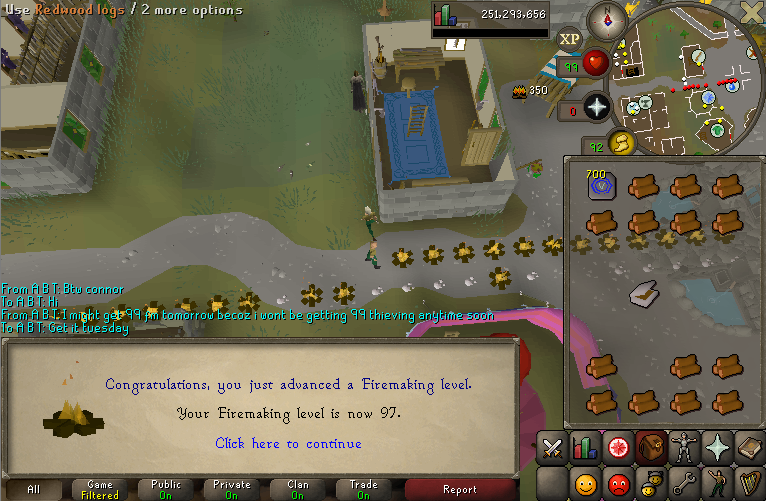 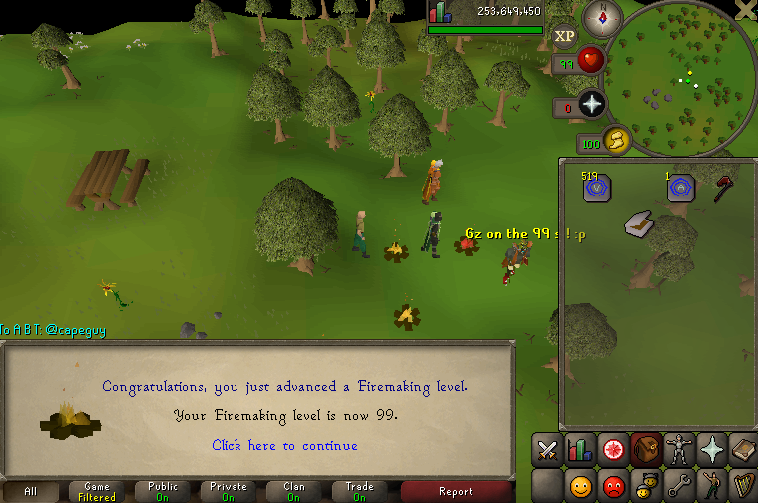 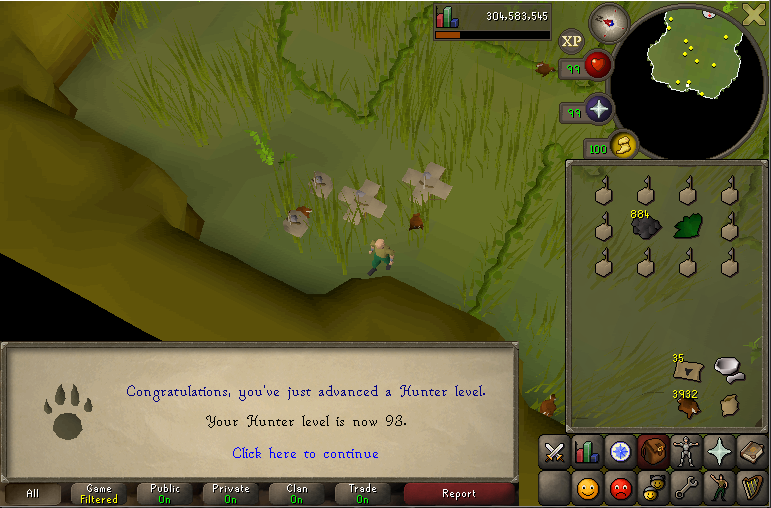 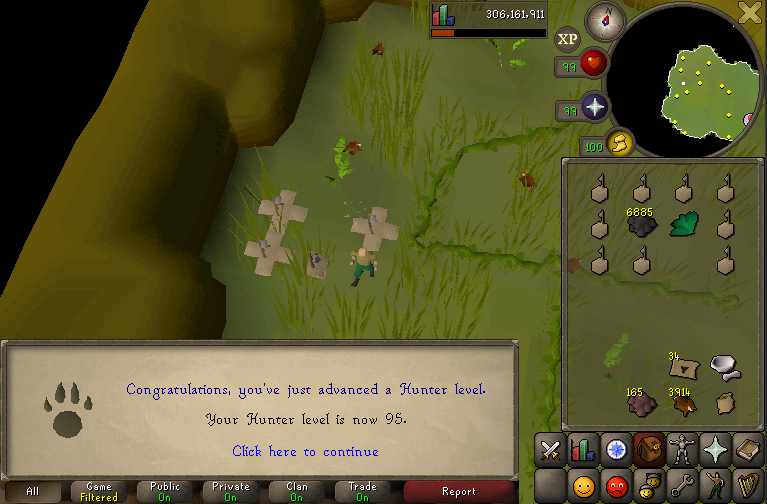 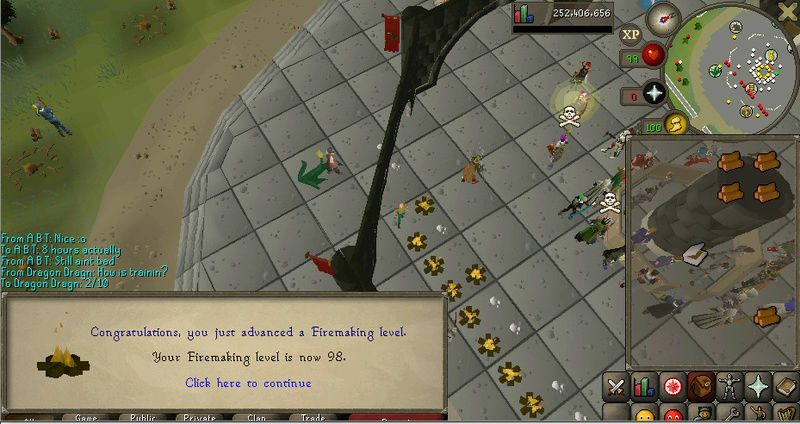 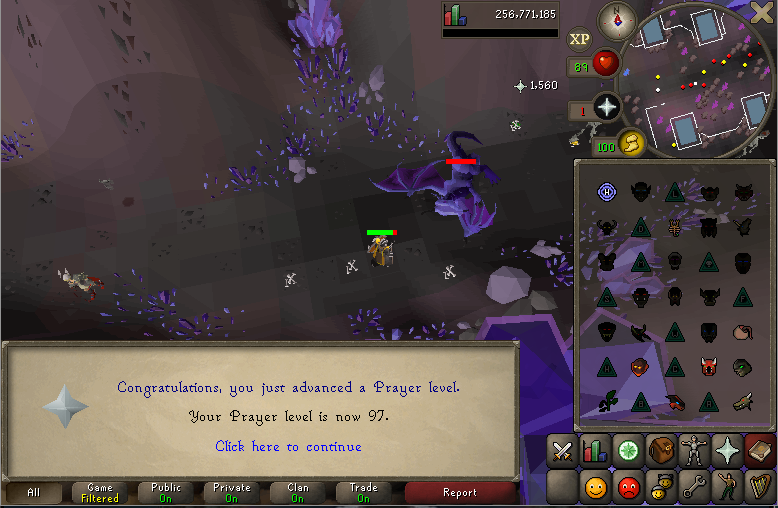 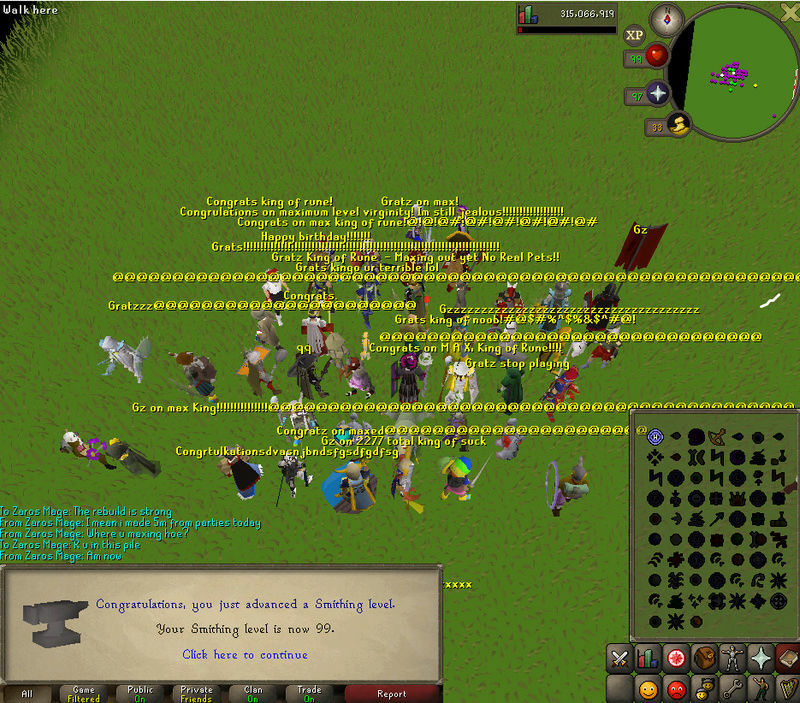 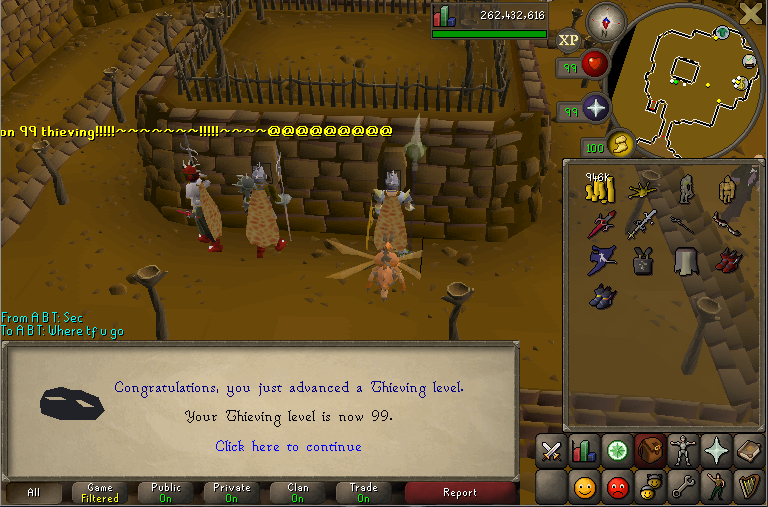 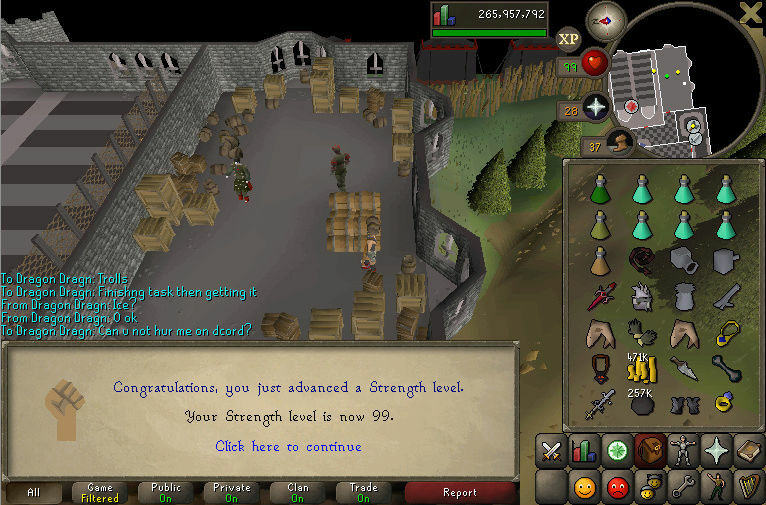 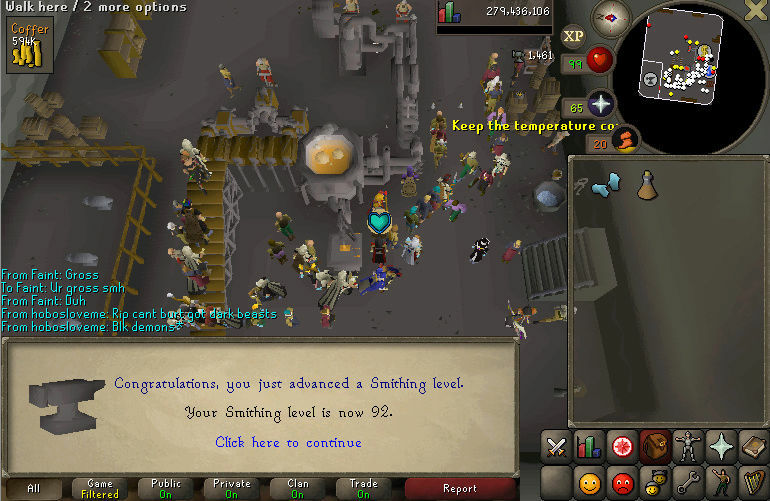 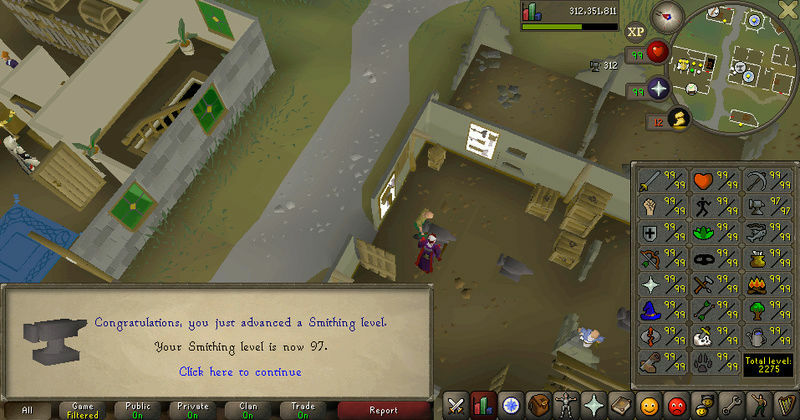 Last few weeks has been grinding out some 99's that i was already pretty close to. 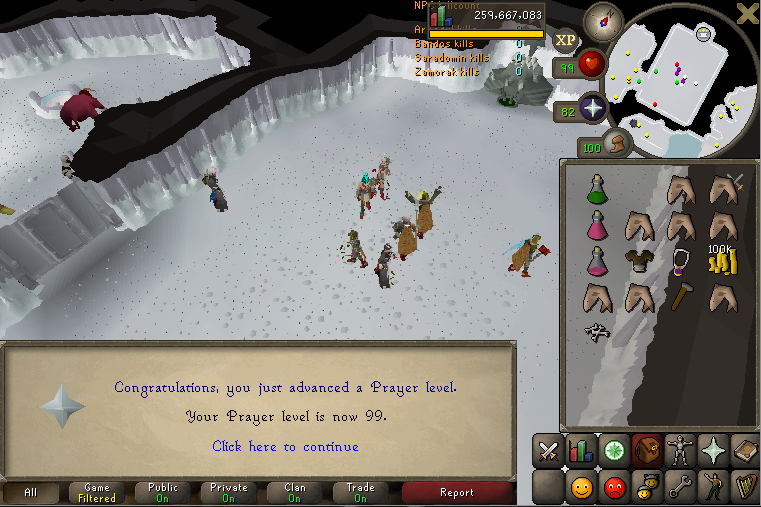 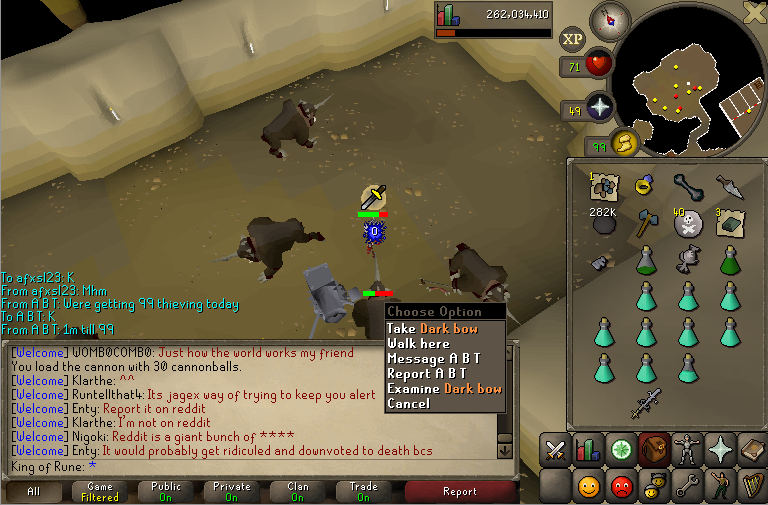 Waiting for my friend to get 98.99 theiving so we can get 99 together, why not get 99 prayer well i wait. 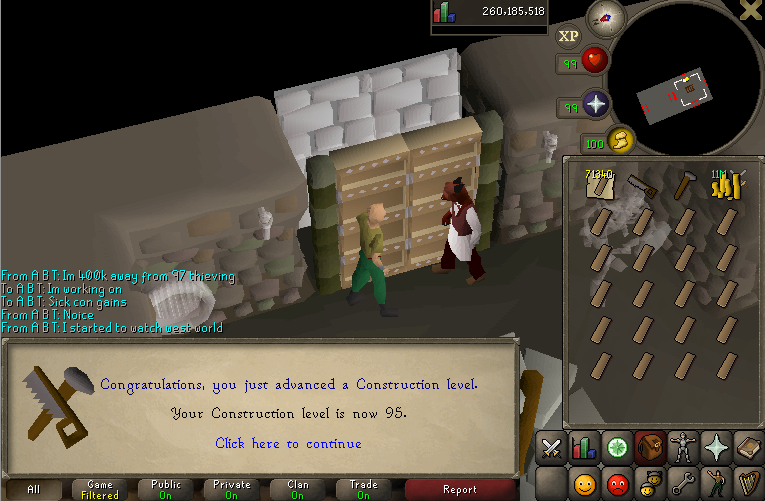 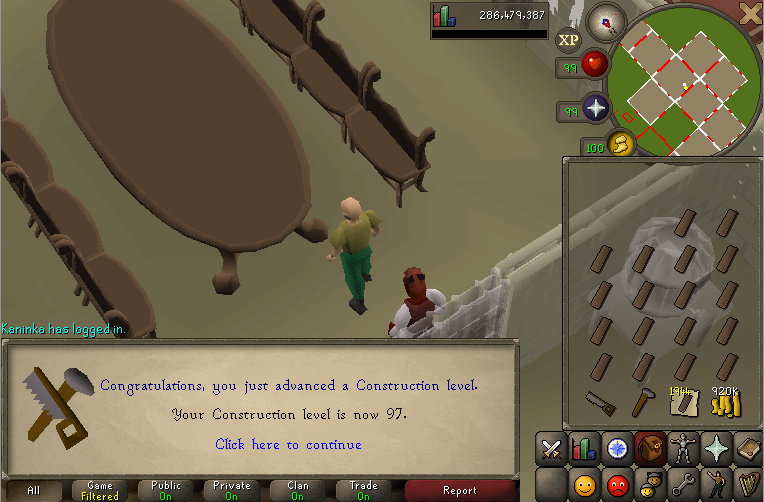 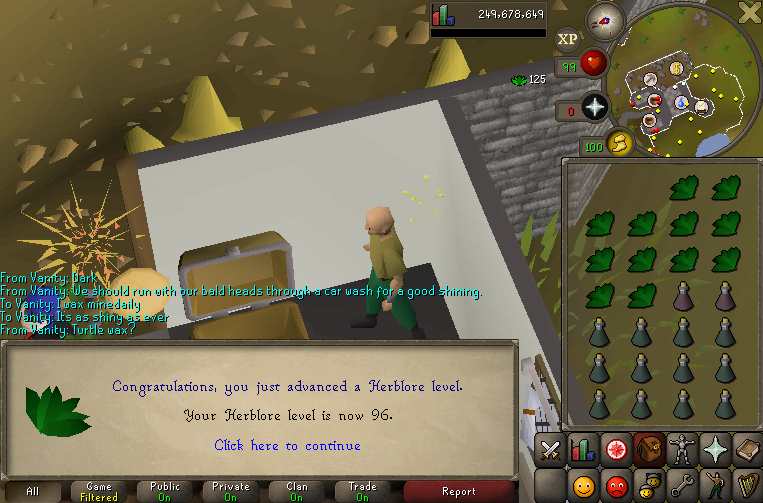 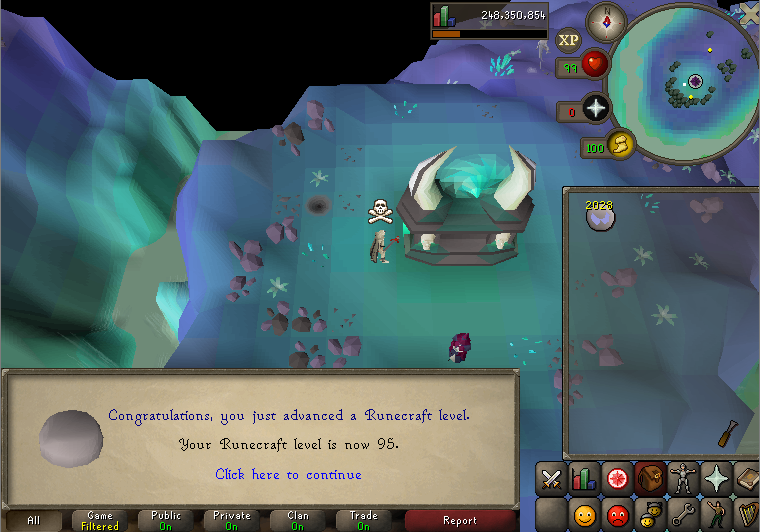 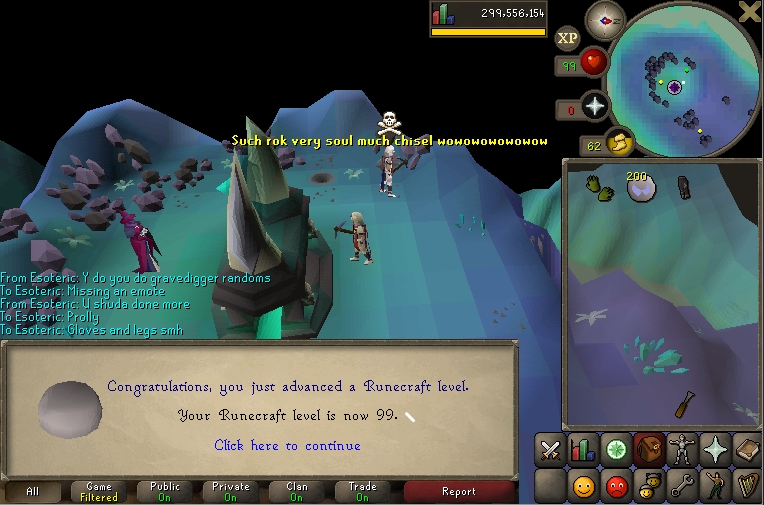 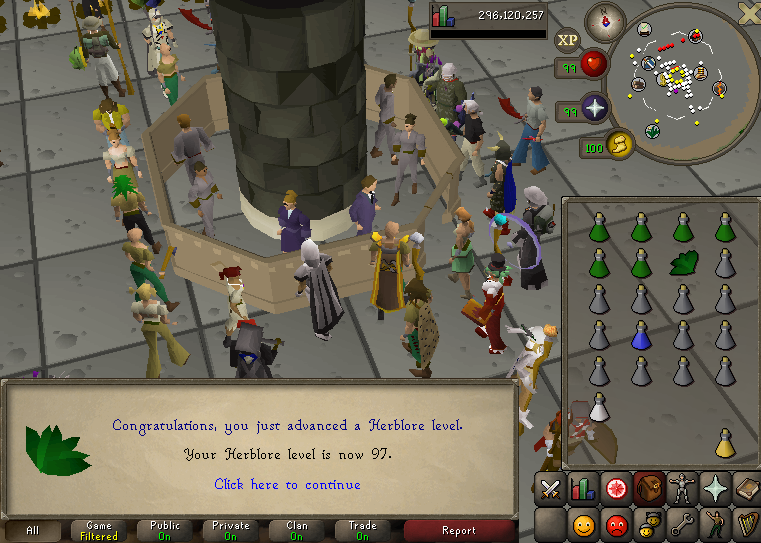 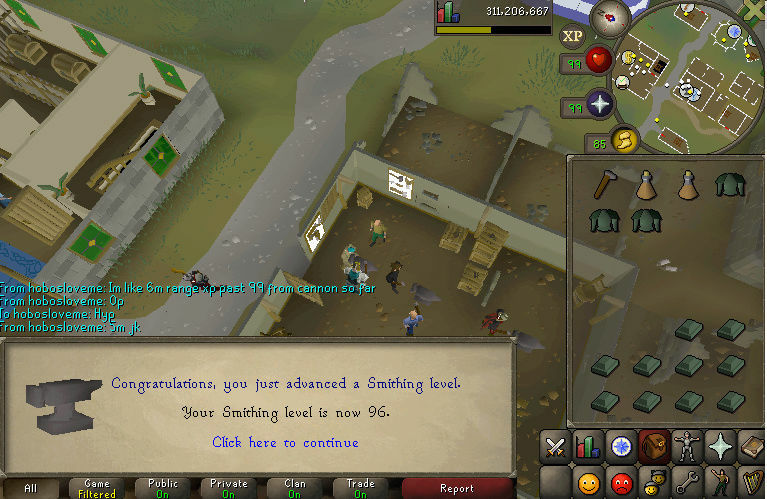 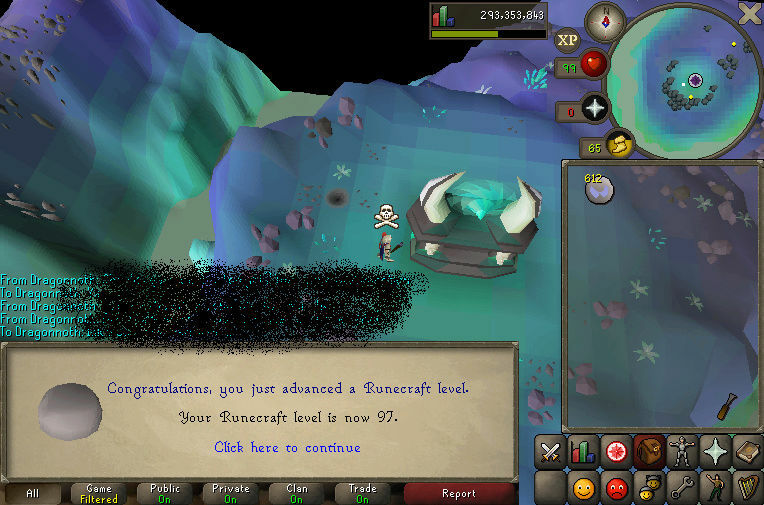 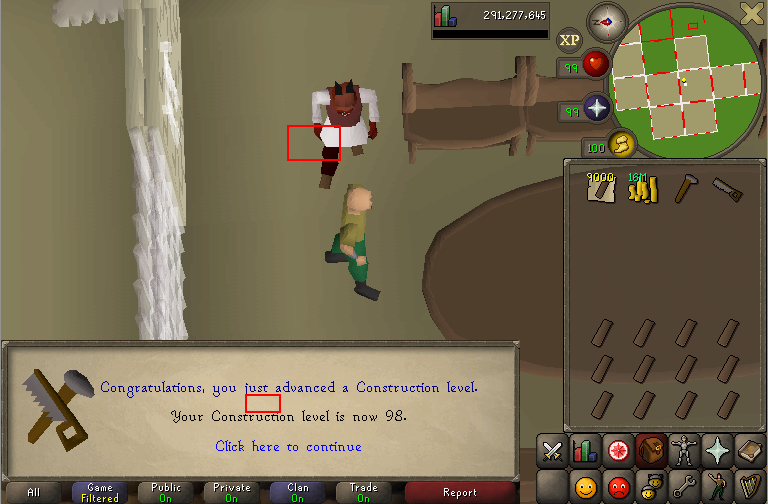 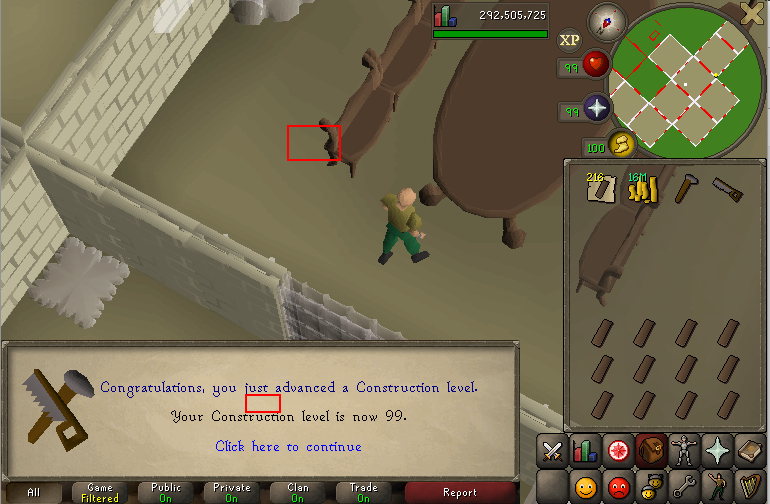 My next goal was 99 construction, i started at 94 and this is how far i made it before i couldn't stand making that door anymore. 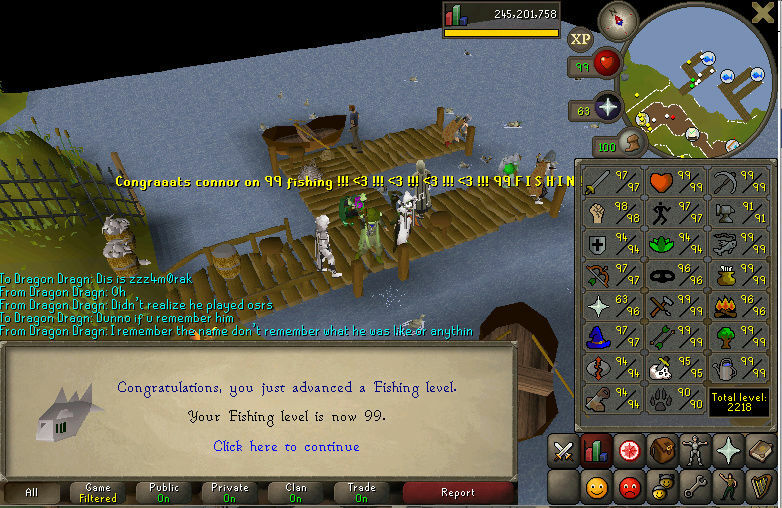 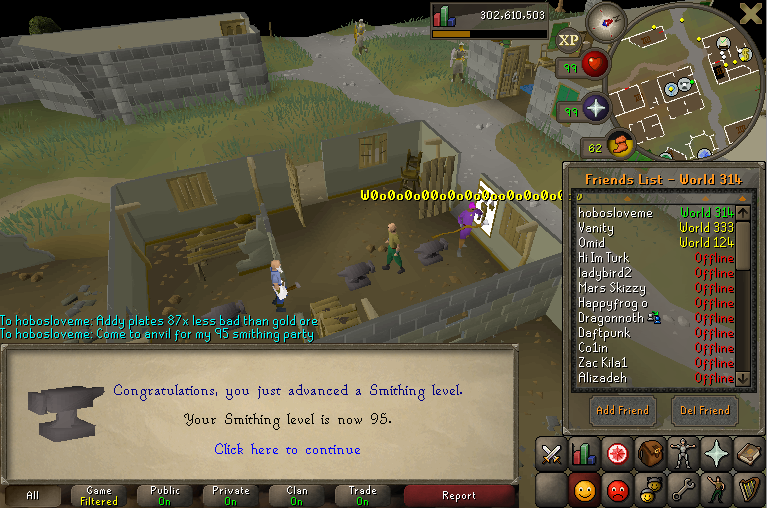 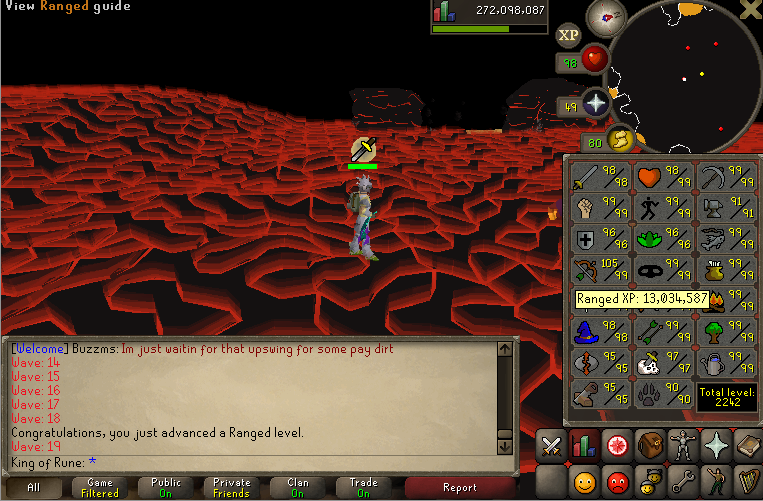 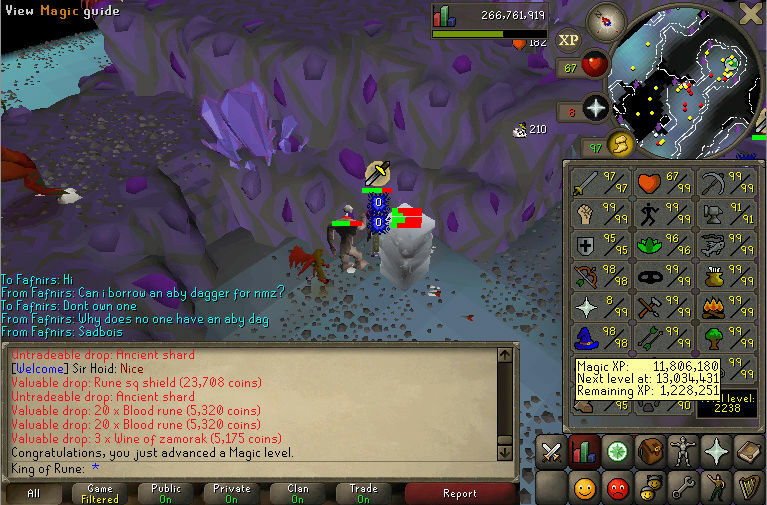 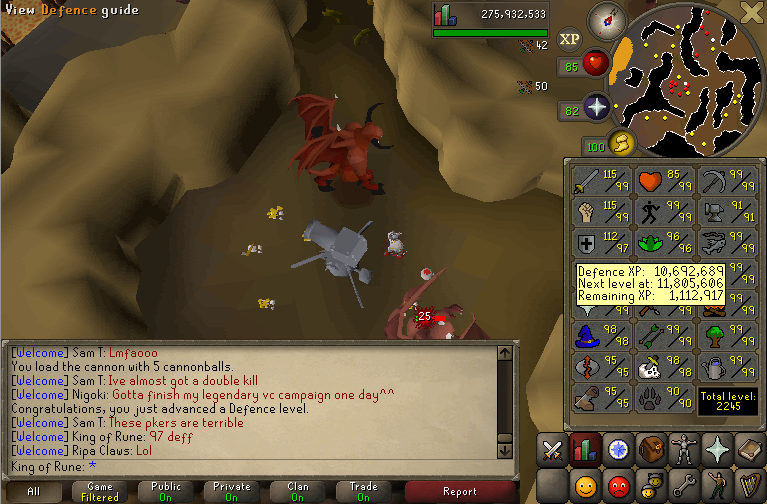 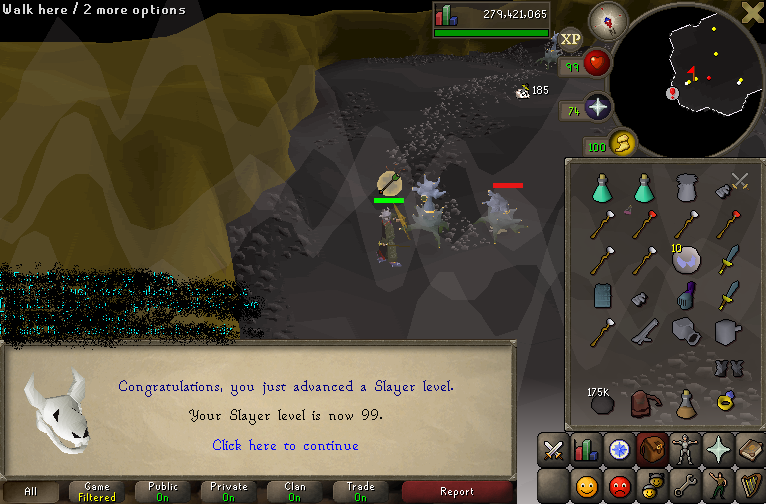 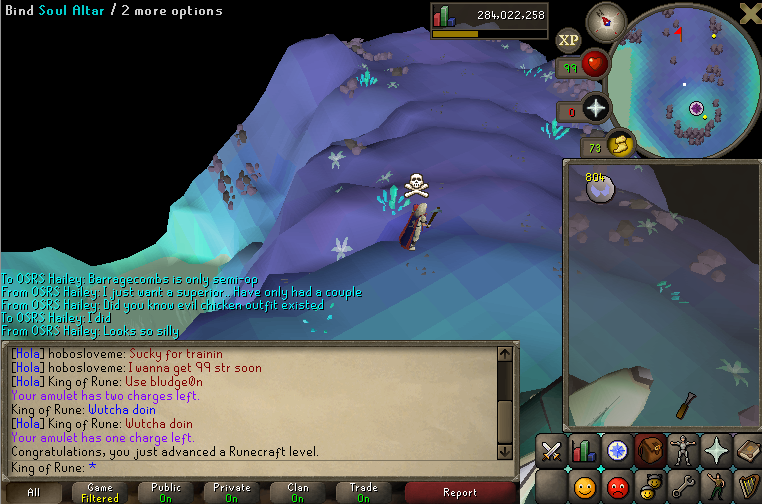 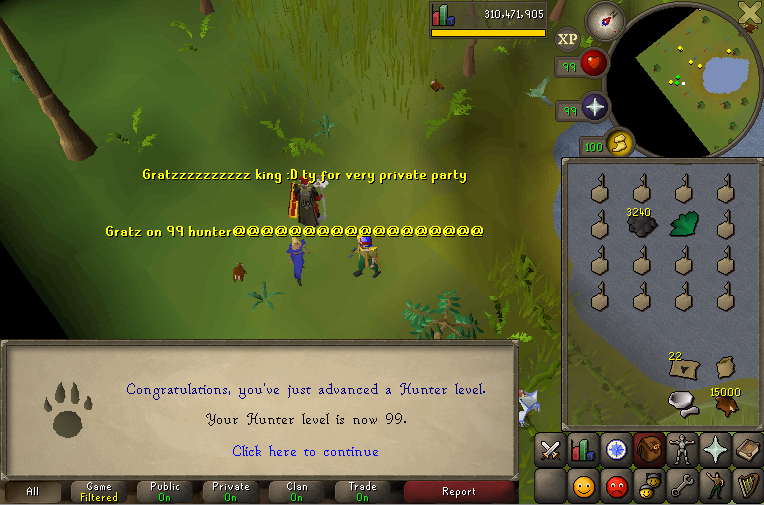 Since starting slayer i also gained a slayer level, but in regular Kingo fashion i completely missed it. 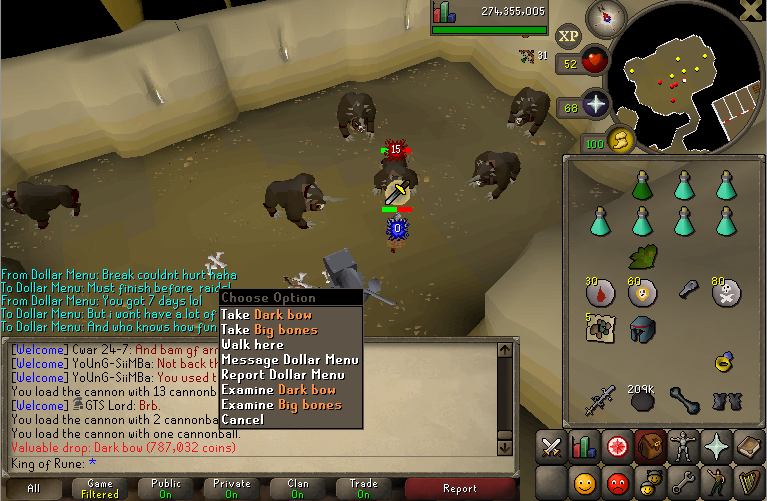 There was also another dark bow, i'm really bad at screenshots. 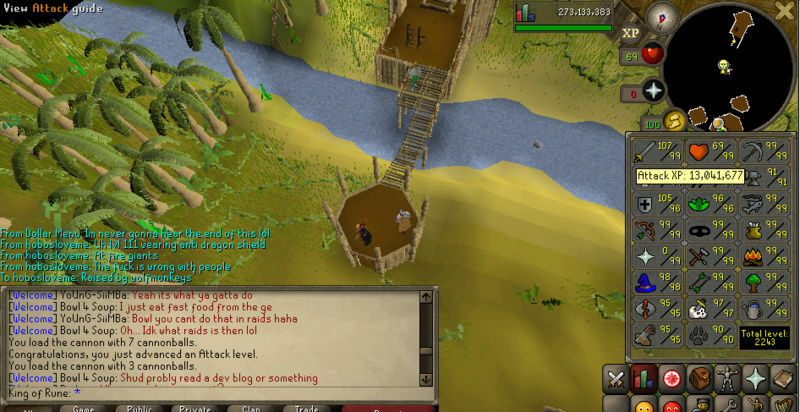 My next update will include my block/skip list and how i do my tasks for those interested (still playing around with it a bit) See you then! 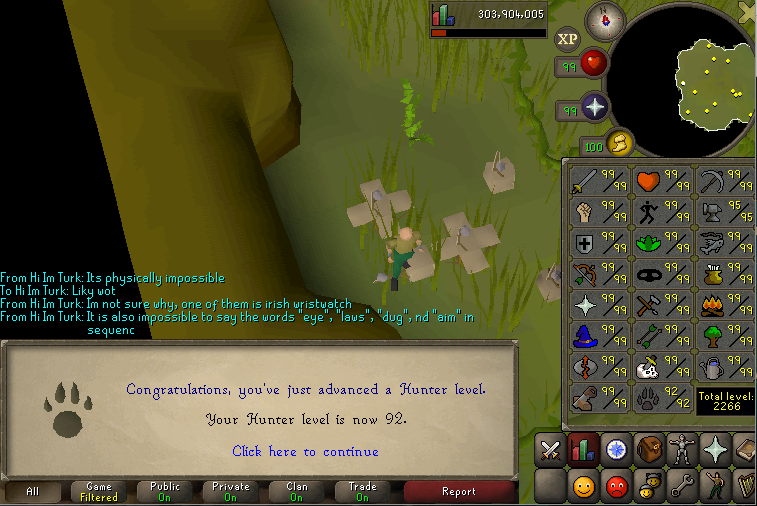 Its been a good 2 weeks! 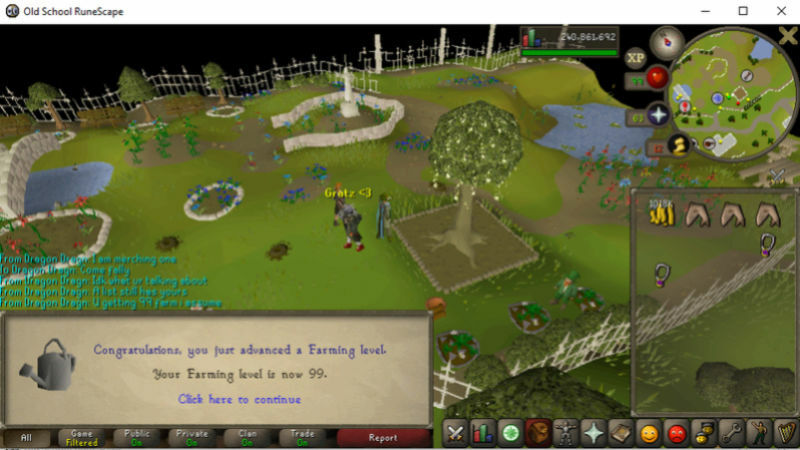 and i have gotten ALOT done. 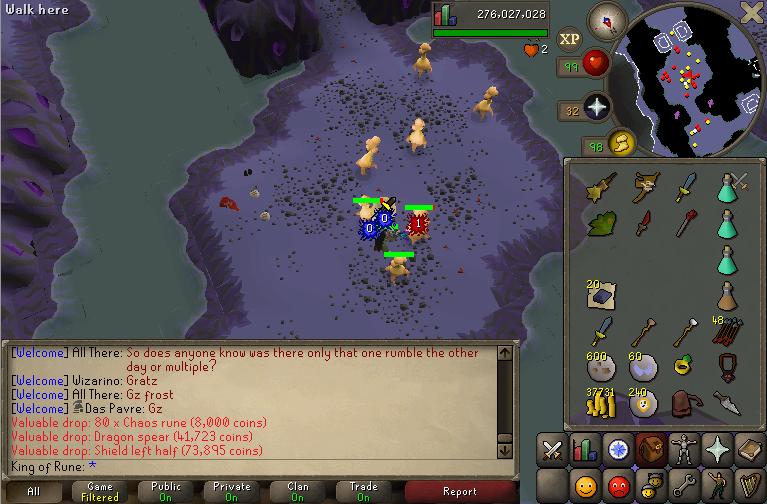 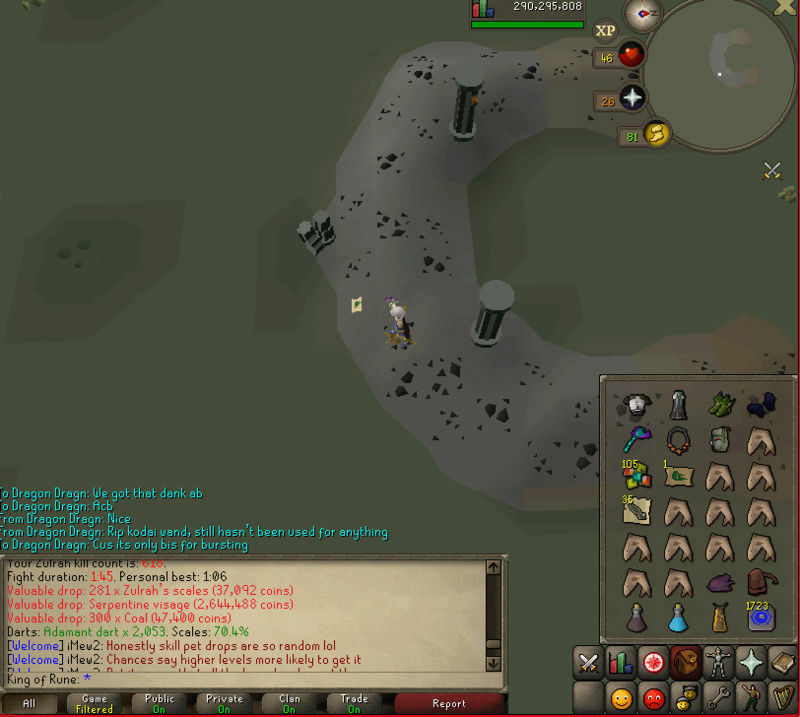 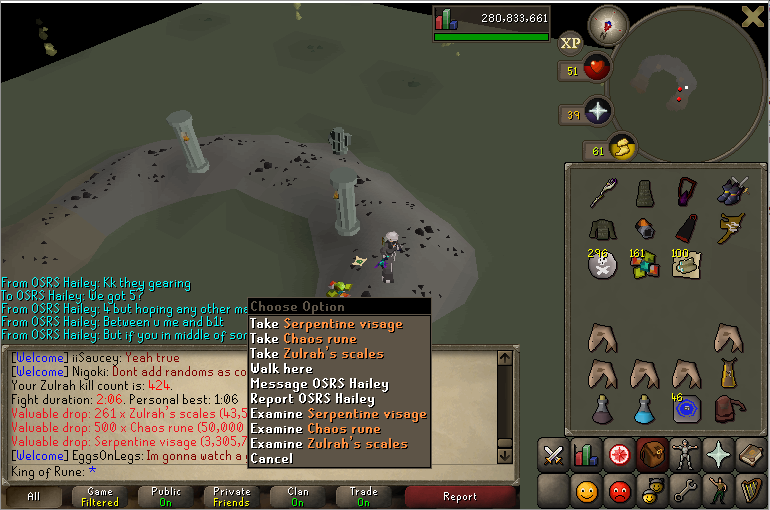 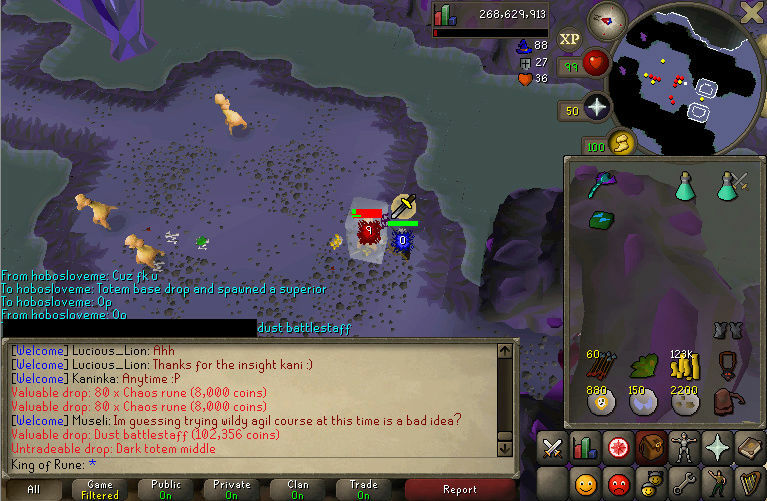 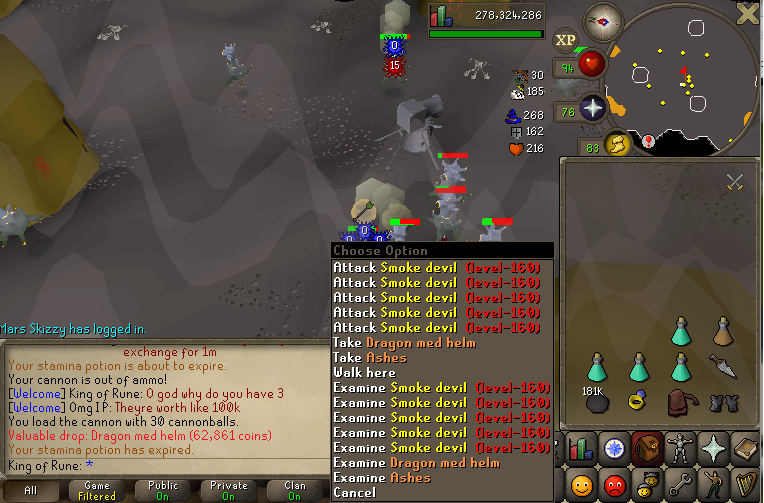 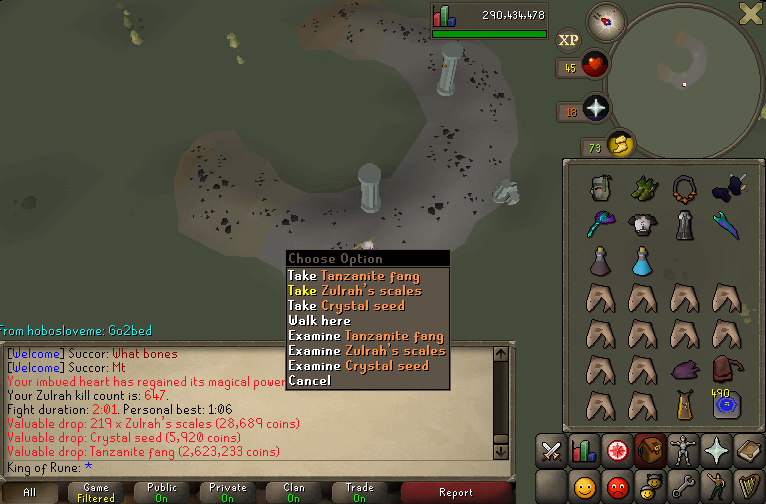 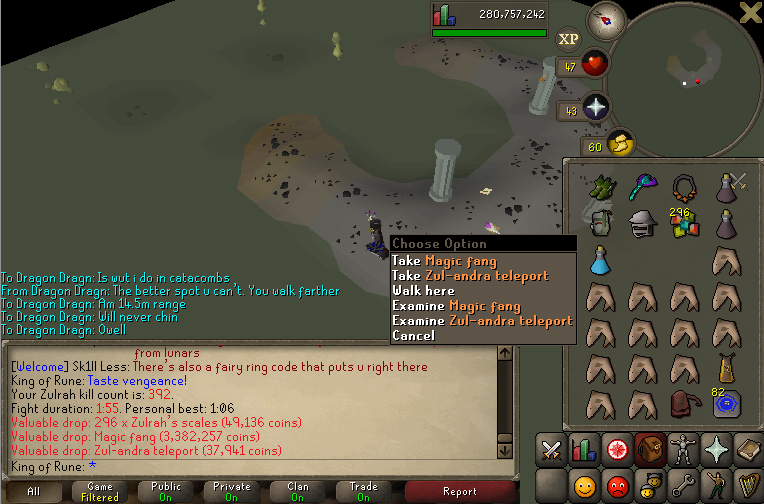 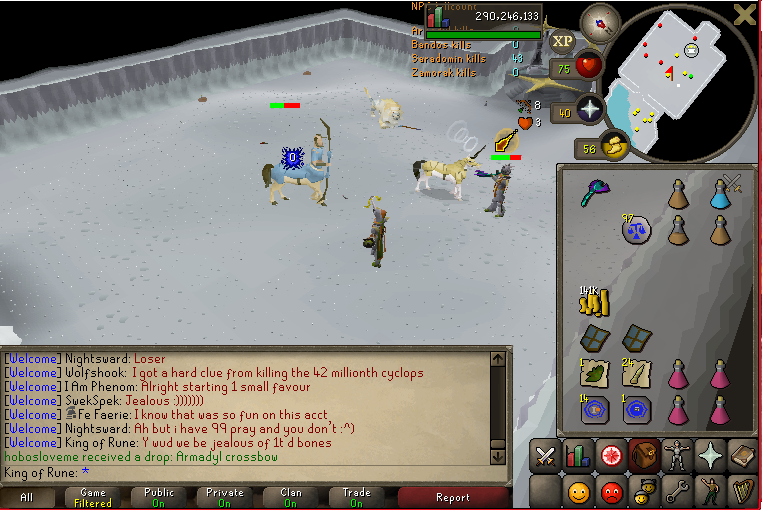 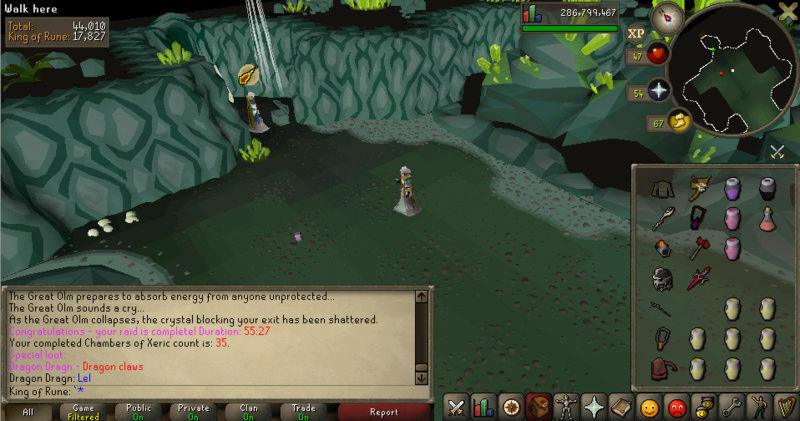 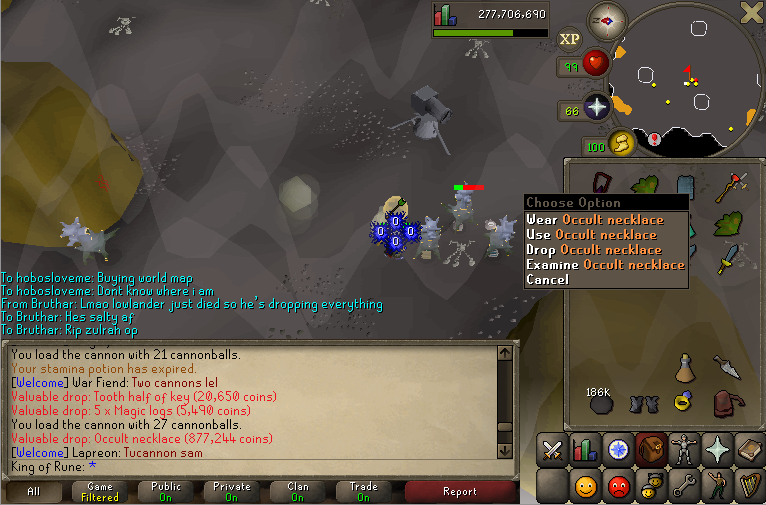 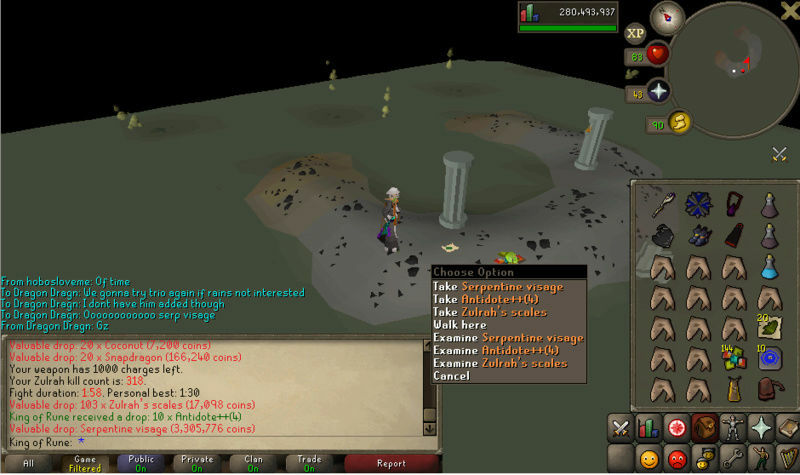 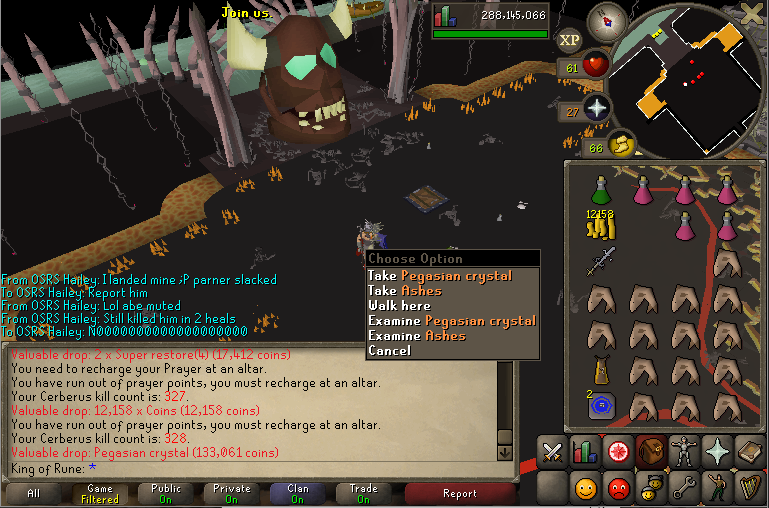 Maaaaddd gains mate, gl gl on last lvls! 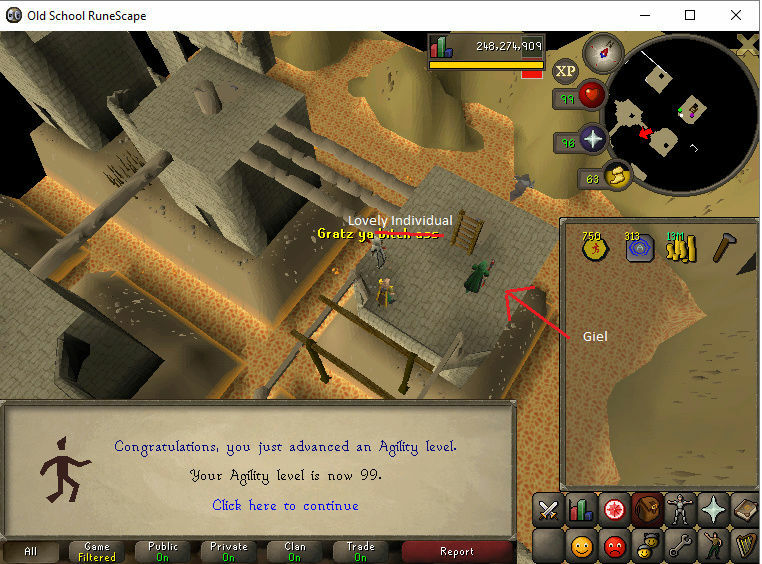 Gz again Any goals left now?